Sequence Three – Grand Reference Construction Update3! Here’s a small update of the build progress! The enclosure build is progressing as planned and the first box is finished. Some minor adjustments remain, but the build slowly beginning to nearing its final stage. The next series of measurements I will publish is for the 10C772510KAP woofer, thereafter followed by DEQX measurements and some listening evaluation of the drivers capabilities. 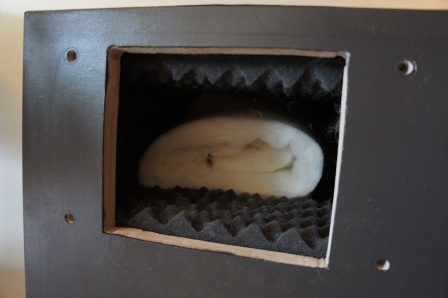 All walls are covered with bitumen pads and some walls are covered with egg shaped foam and the enclosure is filled with sheep wool. 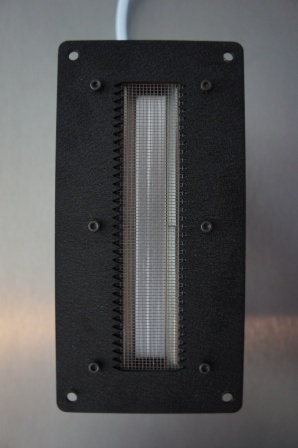 Two flared 70mm bass-reflex ports are housed in the bottom of the enclosure. 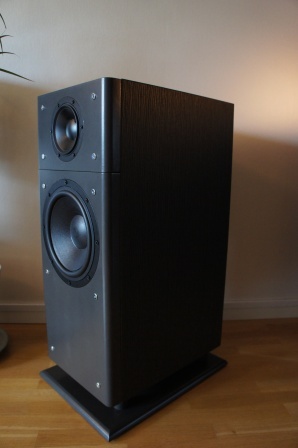 At the first look at the loudspeakers they look black, but they are actually dark grey. In real life they look a bit darker than the pictures. 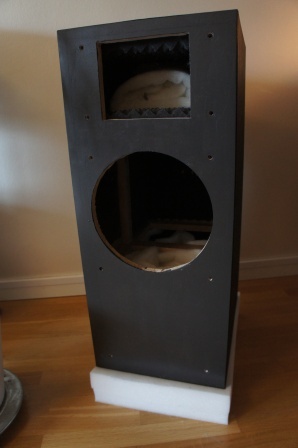 Note the replacement baffle system and the separate tweeter enclosure than can be slide back and forth in order to fine tune the “relative acoustic center off-set” between the tweeter and the mid-range. 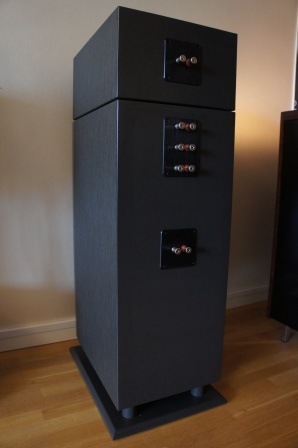 The speaker terminals are prepared for both active and passive cross-over use. Read full article |Comments Off on Sequence Three – Grand Reference Construction Update3! AudioTechnology 15H 52 12 06 SDKM Measurements! 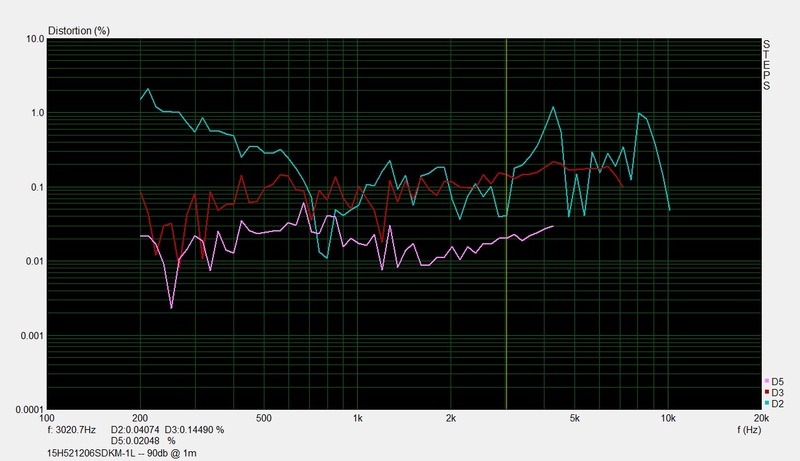 AudioTechnology C-Quenze_15H 52 12 06 SDKM Measurements! The next driver measurements to publish for the Sequence Three – Grand Reference loudspeaker design is the AudioTechnology 15H 52 12 06 SDKM. This is the pure mid-range version of the 15cm AT driver. If we compare the two different versions we can see that the mid-range version both have a more linear frequency response as well as lower distortion throughout the mid-range drivers usable frequency range. Note! The SPL is normalized. They don’t have the same sensitivity. The dip in the frequency response at 1.25kHz for the mid-woofer version caused by the cone-edge resonance is completely eliminated with the specially constructed surround of the mid-range driver. To be honest, this dip in the frequency response is more of a cosmetical nature rather than technical, since it doesn’t have a large impact on the sonic performance of the mid-woofer. The mid-range is perfectly usable up to about 3-3.5kHz and my goal is to use it up to 3kHz +/- 200Hz, where it’s crossed-over to the RAAL 140-15D ribbon tweeter. Simulations, measurements and listening test will determin which filter topology to use, LR2 or LR4? If it works I would like use a shallower sloped filter e.g. a second-order LR, since I often think such filter topology sounds better if it can be done properly. 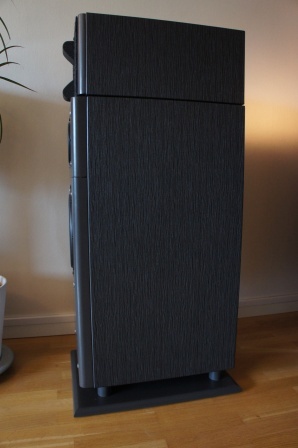 As can been seen the distortion is higher for the mid-woofer version when tested at medium-high levels. This mid-range driver from AudioTechnology delivers top notch measurement performance without any surprises as nasty cone break-ups, odd frequency response or distortion problems. I think the mid-range will complement the RAAL 140-15D perfectly! 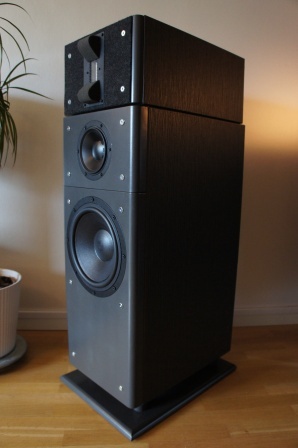 Read full article |Comments Off on AudioTechnology 15H 52 12 06 SDKM Measurements! RAAL 140-15D Ribbon Tweeter Measurements! I’ve made some extensive measurements on the RAAL 140-15D ribbon tweeter and before the measurements I installed brand new replacement ribbons in both the RAAL tweeter samples and tightened up the ribbons as in this instruction video from RAAL. 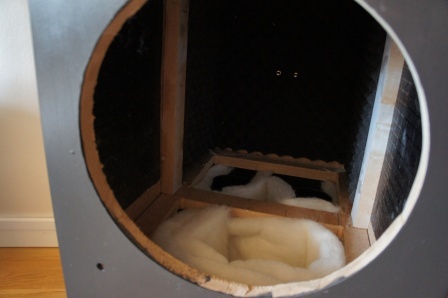 Since it’s possible to shape the frequency response both vertically and horizontally with the supplied “foam deflection pads”, it seemed as the tweeter measurement setup could almost be done in an infinite number of variations. Upper Left: DPN = No “deflection pads”. Upper Right: DP1 = With “deflection pads” and 7cm visible ribbon. 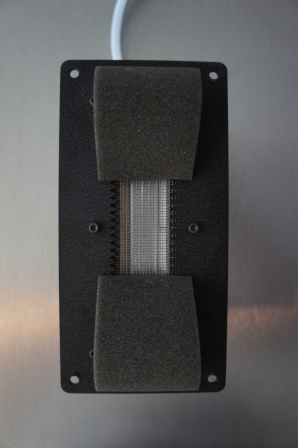 Lower Left: DP2 = With “deflection pads” and 5cm visible ribbon. Lower Right: DP3 = With “deflection pads” and 3cm visible ribbon. The best overall balance and linearity between the horizontal and vertical frequency response is to use the “deflection pads” in the DP1 or DP2 setting e.g. 7cm or 5cm visible ribbon. I wouldn’t recommend using the RAAL ribbon without the “foam deflection pads”. Without it the performance decreases in all aspects, both in frequency response and in distortion performance. Nevertheless I made a lot of measurements without the foam pads to have as a baseline to compare with. Even though the RAAL ribbon is a very robust ribbon tweeter I made all frequency measurements with a 44uF protection cap connected in series with it. I’ve tested the RAAL ribbon with and without flush-mounting it on the baffle and the test results shows that there is no big diffraction problem and frequency response impact if it’s not flush-mounted. The face-plate of the RAAL ribbon is only 2mm thick and flush-mounting it is more or less a cosmetically decision rather than technical. 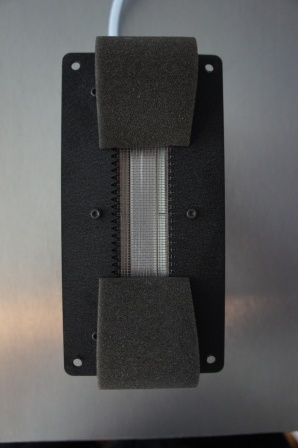 All my published measurements are made with the RAAL ribbon flush-mounted using a 2-3mm thick felt carpet covering the entire baffle. 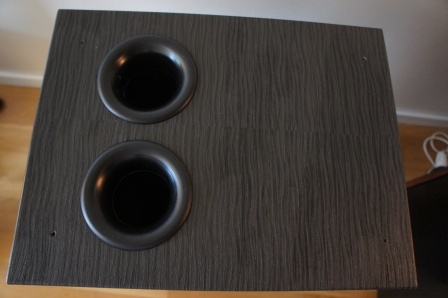 The distortion figures isn’t up to the very best dome tweeter’s performance e.g. 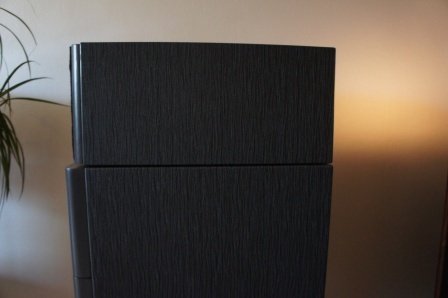 ScanSpeak D3004/664000 Beryllium tweeter, but for a ribbon tweeter still a respectable performance. As can be seen on the distortion charts the gap between them narrows down with increasing SPL. Also the harmless second-order harmonics is actually lower for the ribbon. 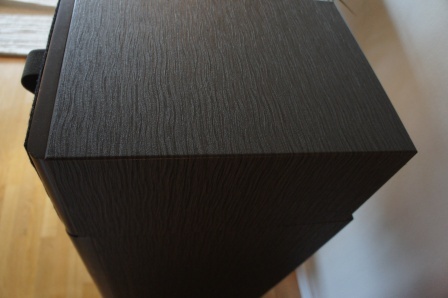 And obviously the dome tweeter can be crossed-over much lower without distortion issues. 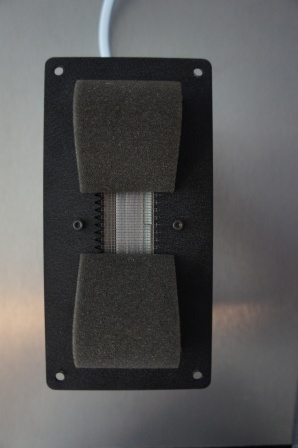 When using the supplied “foam deflection pads” it actually helps lowering the distortion as well as controlling the vertical horizontal frequencies dispersion. 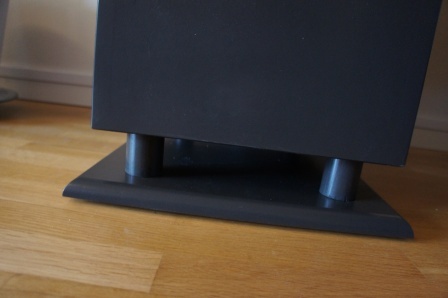 Based on the distortion figures I would recommend as many other people have for the RAAL ribbon tweeter, a cross-over point of about 3kHz or higher. If the max SPL requirement isn’t a concern or if you use steep filtering a 2-2.5kHz cross-over point could possibly work. With the Sequence Three – Grand Reference loudspeaker design I’m aiming for a cross-over point of around 3kHz, so it’s seems to be working as I planned and expected. Further measurements and of course listening test will finally decide the exact cross-over point. With the AT mid-range and the RAAL ribbon I will have a possible cross-over range somewhere between 2.5-3.5kHz. Not a super wide range, but wide enough to make it work. 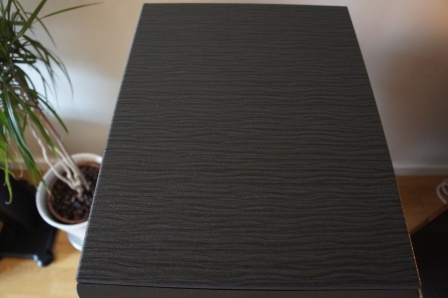 To sum up, I think the RAAL 140-15D measurement performance lives up to my expectations and I’m eager to continue with the Sequence Three – Grand Reference loudspeaker design. Next up is to publish the results from the AudioTechnology mid-range measurements. Read full article |Comments Off on RAAL 140-15D Ribbon Tweeter Measurements!